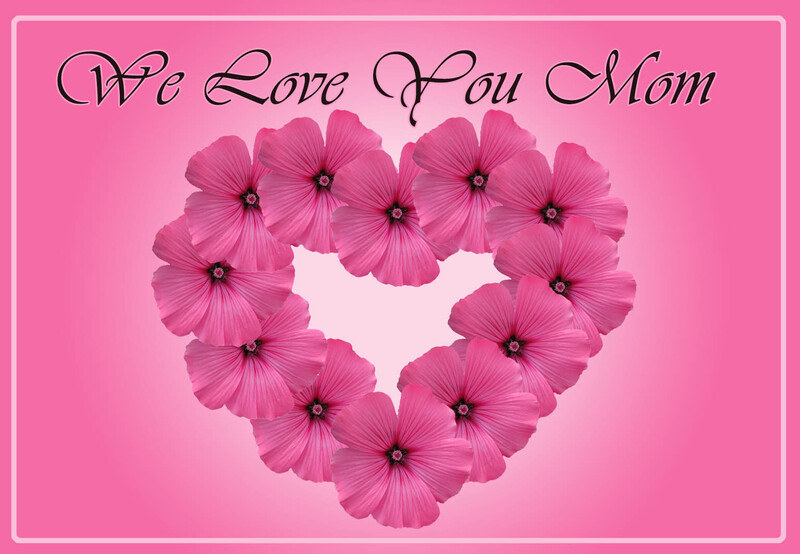 17 Free Mother's Day Cards and Ideas for Small Homemade Gifts. 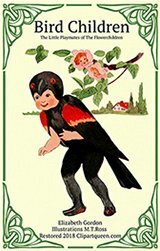 On this page, Free Mother's Day Cards, you will find some original, funny, beautiful printable Mother's day cards, and also a few you can find elsewhere. 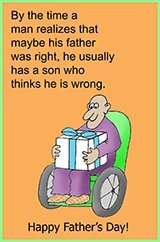 Check out the cards, and hopefully you'll find something that makes a great gift for that wonderful mother in your life. 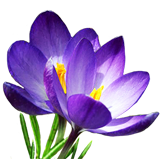 Download the cards, print them and write her a message or use one of the Mother's Day poems you also find here. I am very well aware that the idea of Mother's day is very much supported by all kinds of business people and commercials, but nevertheless I like the idea of sending your mother a card, giving her a present, making something special for her that day - I find that all these things are, if they come from the heart, something that will make her feel appreciated and happy. 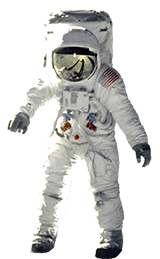 Below you will also find ideas for gifts to make for Mother's Day. 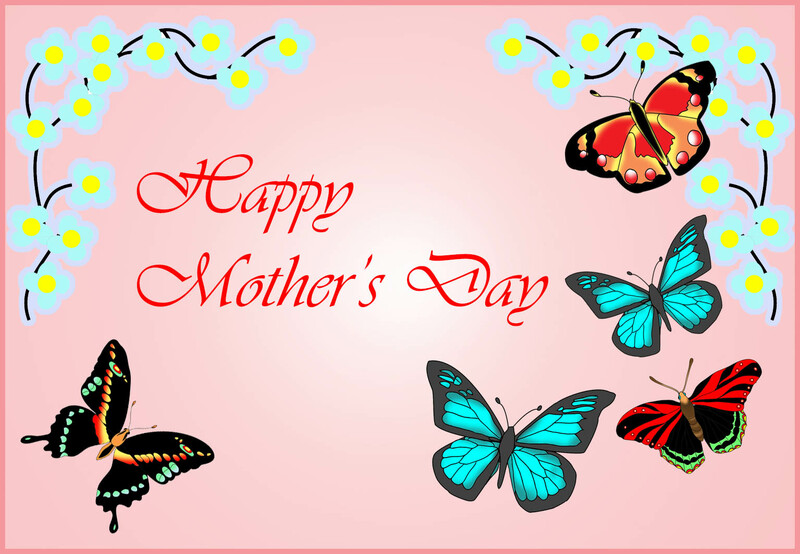 If you just need a funny or sweet drawing to put on a gift card or a letter you might want to visit the other page on this site about Mother's day, Mothers Day Clip Art, where you will find many different Mother's day graphics and Mother's day clipart. 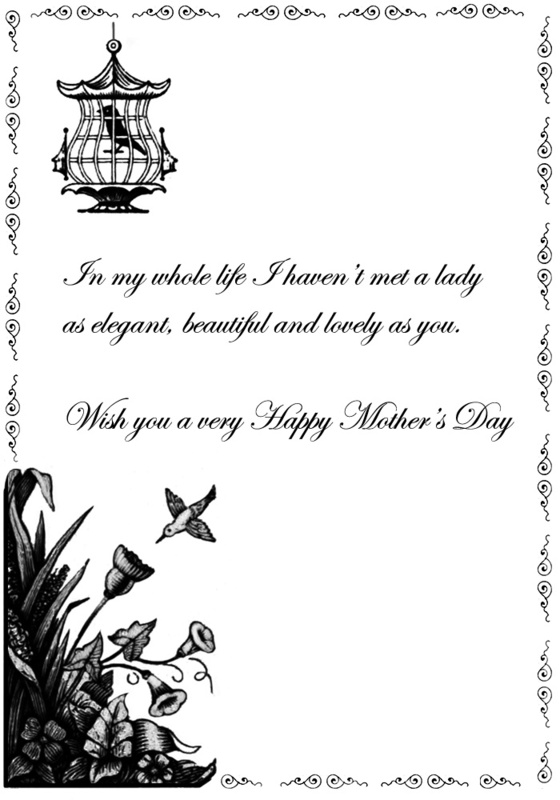 This beautiful Victorian Mother's Day printable card is actually made from clip art on this website. 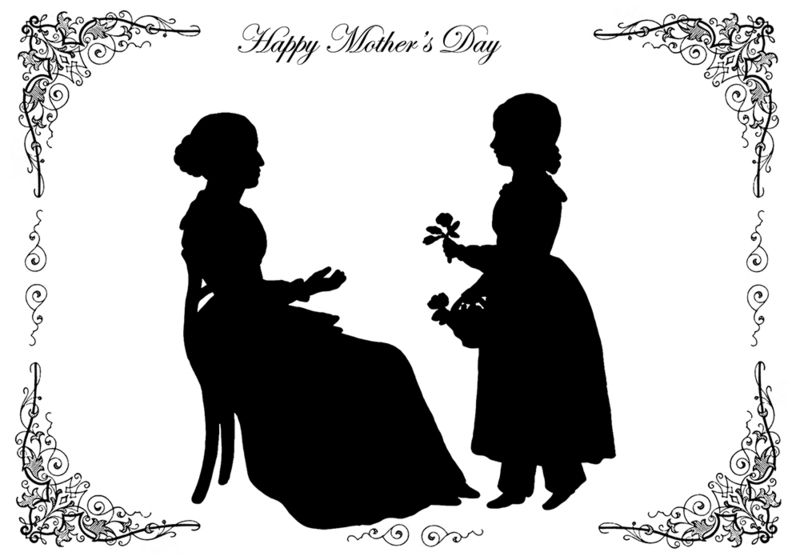 The Silhouette of the mother receiving flowers from her daughter is from the page with Victorian silhouette and the ornament are from the page with Victorian ornaments. 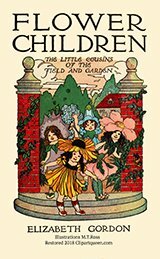 So feel free to use clip art from these page to make your own Victorian card. 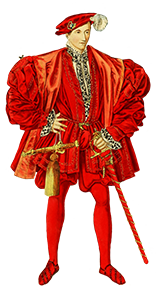 When printed with 200 dpi the size will be 3,5 x 5 inches. 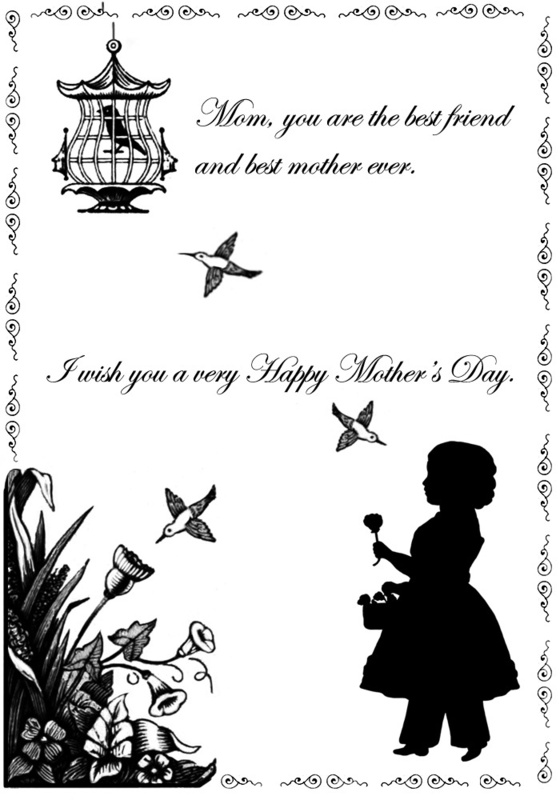 You will find two more Victorian Mother's Day printable cards below on this page. 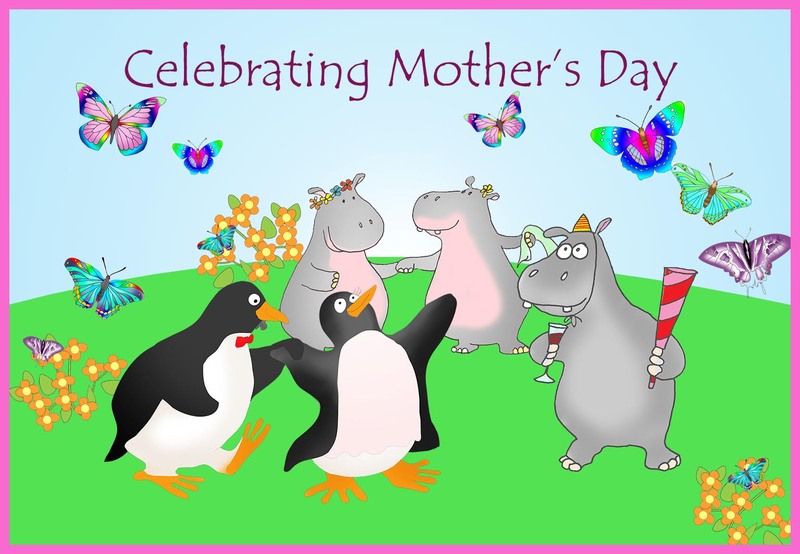 This first card is about celebrating Mother's Day, with happy hippos and penguins, dancing on a green field with flowers and butterflies. Size: 9 x 13 cm printed in 300 dpi. But, what should you give her to go with the card? • Handmade Lip Balm -- Did you know that you can make your own lip balm for mother easily? All you need is a bit of petroleum jelly and something that will give it scent or flavor - such as cocoa, ground nut powder, or coconut oil. It is an easy gift to make, but it's one she'll appreciate! • Homemade candles -- If you've never made candles before, it can be a lot of fun to give her a homemade candle as a gift. All you'll need is wax and a contain in which to cast the candle, and some ice can come in handy if you want to make beautiful ice candles. This is a gift that's both beautiful and practical! 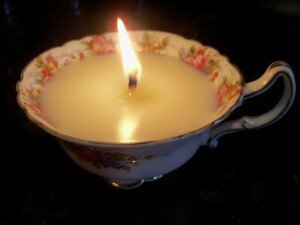 You can find an old beautifully decorated cup in a second hand shop and make it into a candle, this would be a great idea for a Mother's Day Gift. 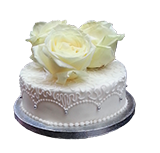 I have borrowed this photo from here, where you will find step by step instructions of how to make the candle. • Customized Tote Bag -- For the eco-friendly mother that does all her shopping with a cloth tote bag, you can make her an awesome gift using just scraps of fabric you have around your house. Make her a tote bag specifically in her style, and give it to her to show her just how much you love her. 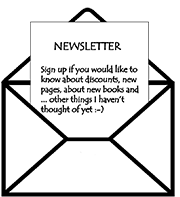 • Coupons -- Most coupons can be found pretty cheaply, but they make a great gift for a mother that likes to save money on shopping, eating out, or going to the movies. 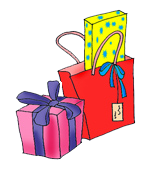 Collect a book full of coupons, and gift them to her on this special day. You may not have to spend a single cent, but you can save her a small fortune. • Surprise Meal -- If you want to show Mom just how much you love her, bring everything you'll need to make her a breakfast in bed on her special day. Spend the night at her house, and wake up early in the morning to surprise her with a special meal. These are just a few things that you can make for your mother, and you'll find that there are hundreds of great ideas that you can find on Pinterest or by doing a Google Search. 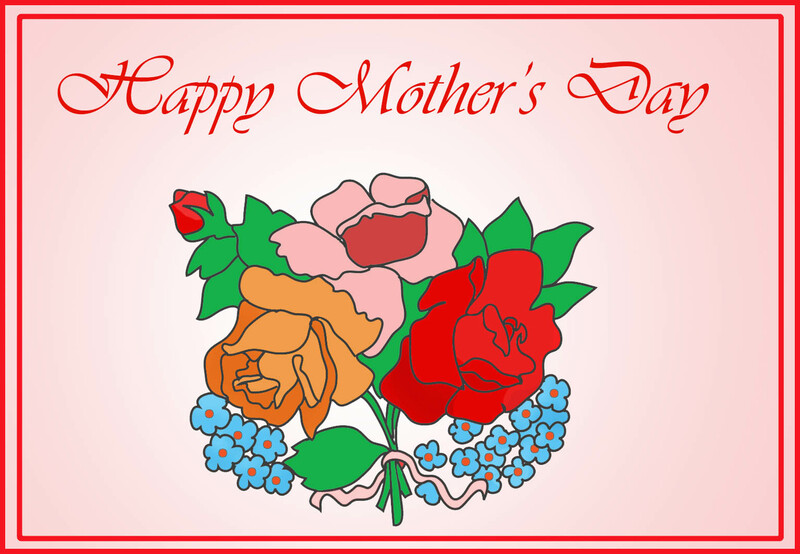 A Happy Mother's Day card with roses in different colors tied in a bouquet with forget-me-not. Size: 13 x 9 cm when printed in 300 dpi. A Mother's day card with the text: "You are the greatest MOM. I love You." The most important thing to remember is that it's your mother's special day, so make Mother's Day a day for her to remember. As her child, your goal is to show her just how much you love her, and making the gift yourself is so much better than buying it at a store. Of course, it should be something that is practical and usable, but a handmade gift accompanied by a customized card is definitely a good way to let her know that you care enough about her to spend your time making her something she'll love. 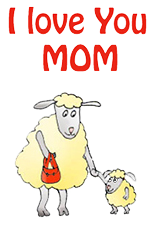 Check out the various free Mother's Day cards we have on this page, and see if there's one that catches your eye. Right click the card to open the more printable version in a new tab. 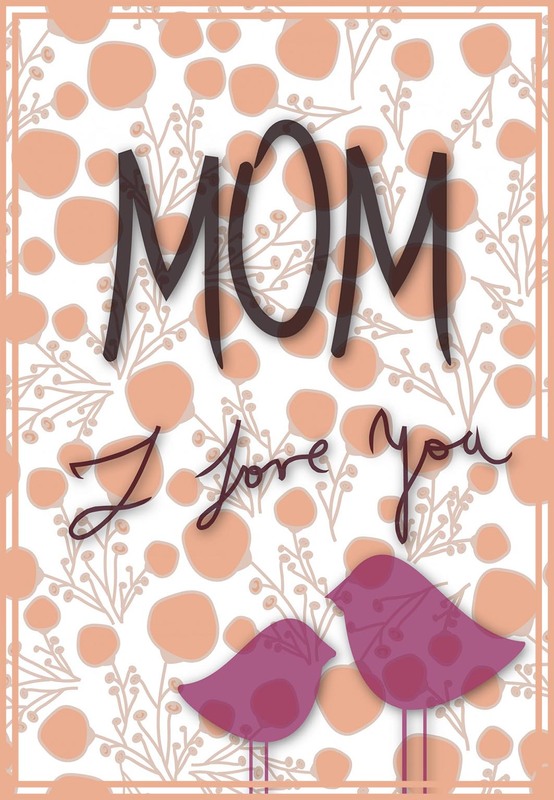 Print it out, but remember that you MUST write a personalized message to your mother. "Mom, thanks for being the best mother a guy or gal could ask for. You were always there for me when (X-problem in your life), and I've come to appreciate you so much more now that I have grown older (or become a parent). I know I can never repay you for all the hard work you invested in me, but this little card and gift is a token of how much you mean to me." This message is sure to put tears of happiness in her eyes! The size, printed in 300 dpi: 13 x 9 cm. 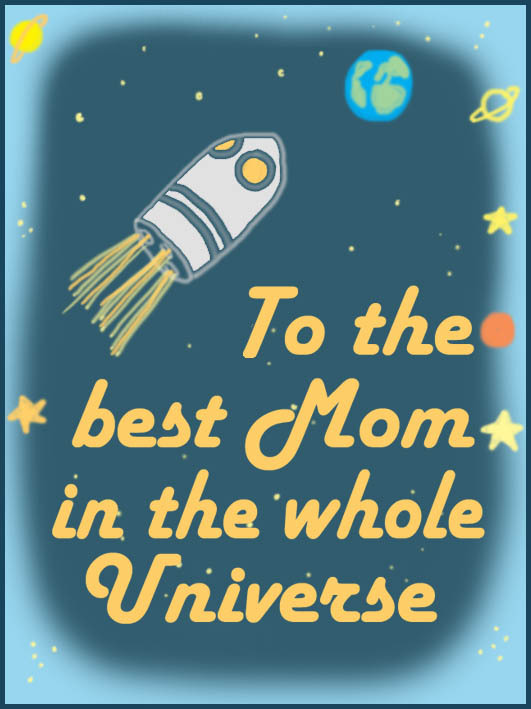 This card with a picture of the universe and the text: "To the best Mom in the whole Universe" will be great to send for Mother's day, especially if you are a kid and want your mother to know that she is really something special to you. and also she is holding some pink roses. 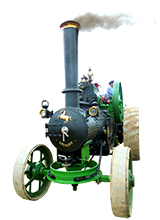 The size is approx 9 x 12 cm (3,5 x 4,7 inches). You're the sunshine to light my day." smelling sweet like a rose." throughout any trouble or strife. about how to get through my daily life. 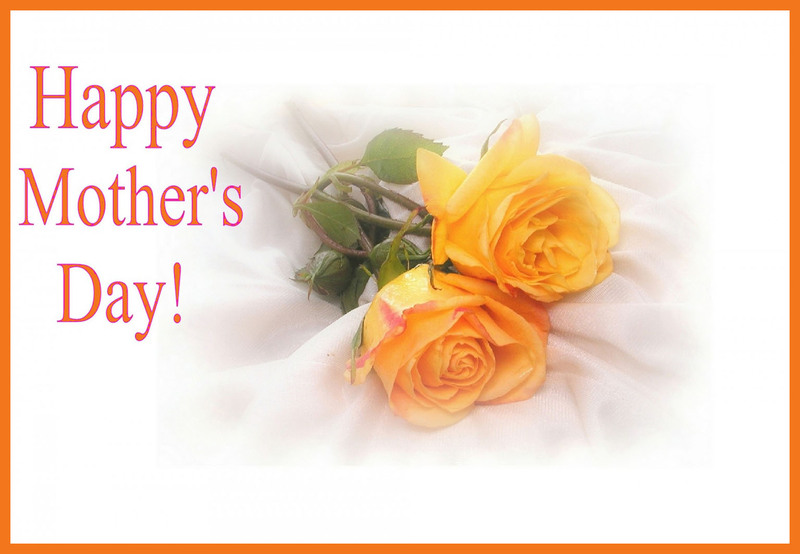 You will find more Mother's day poems below. 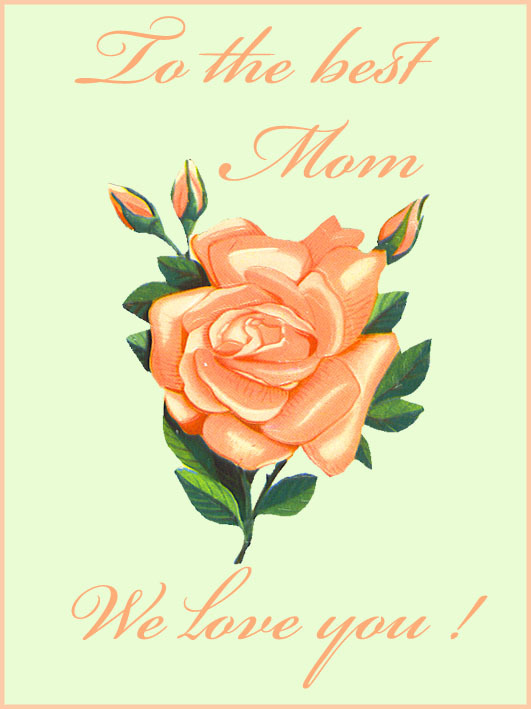 This printable Mother's day card is actually made with a rose clip art, that my own mother gave me years ago. The text is: "To the best Mom We love you!" 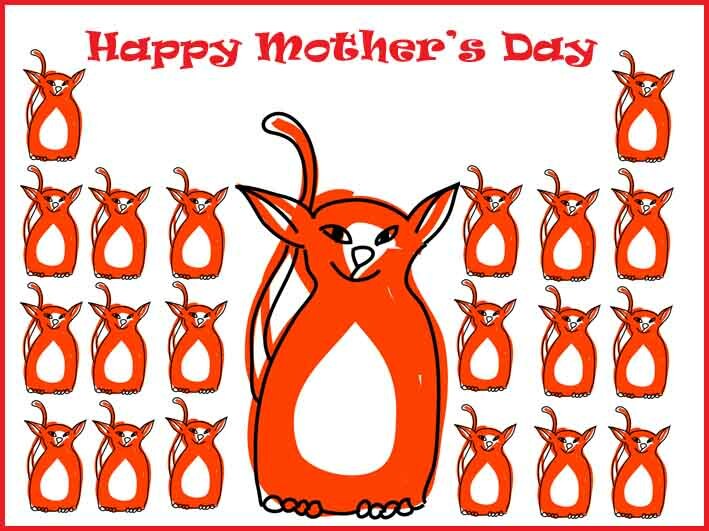 This card has the simple text: "Happy Mother's Day", and the drawing is a red cat and lots of red kittens. The size is approx 9 x 12 cm (3,5 x 4,7 inches) but you can of course make it smaller if you like. 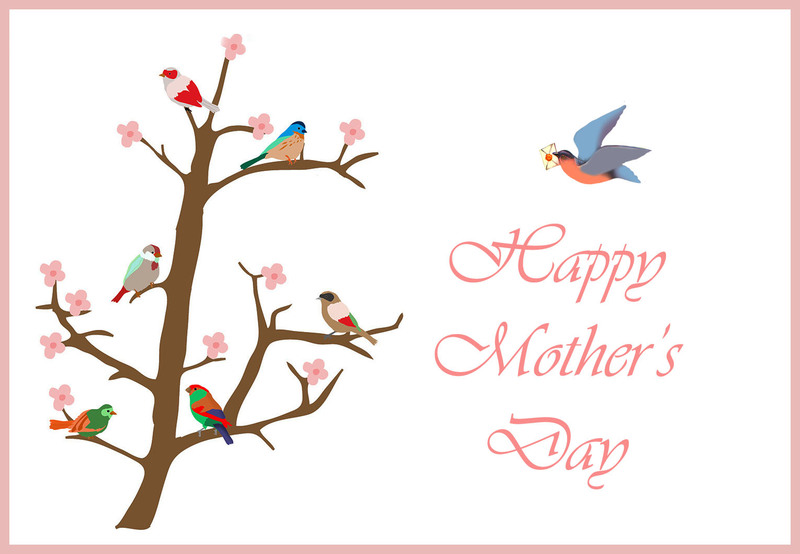 A beautiful card with birds in different colors and a bird bringing a letter, the greeting is "Happy Mother's Day". Size 9 x 13 cm printed in 300 dpi. 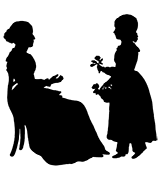 A card size 9 x 13 cm printed in 300 dpi. 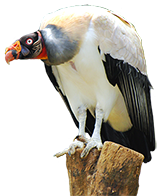 With two birds, maybe a mother bird and child, and some flower pattern. The text says: MOM, I love you. Mother we wish you Happy Mother's Day!" 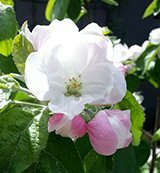 And here comes two Mother's day verses you can use if you make a card for Mother's day together with some toddlers. are not too hard to find. 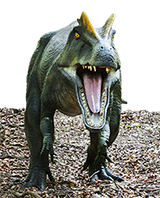 You'll see them on our walls and drawers. Where I go, they're left behind! and tuck them by my side. no grubby marks to hide. of dirt and cookies and fun. On the windows and walls, even the chair. 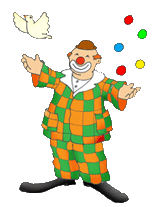 You wipe them and scrub them and wash them away. I love you Mom! 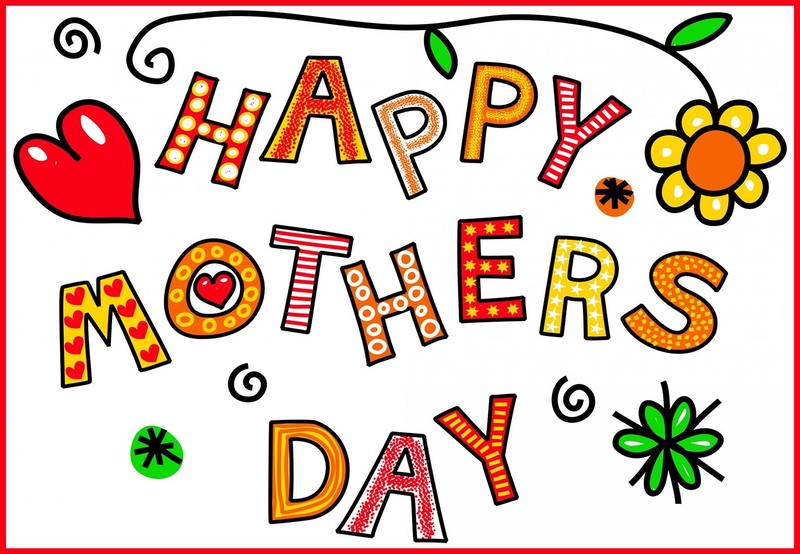 Happy Mother's Day!" 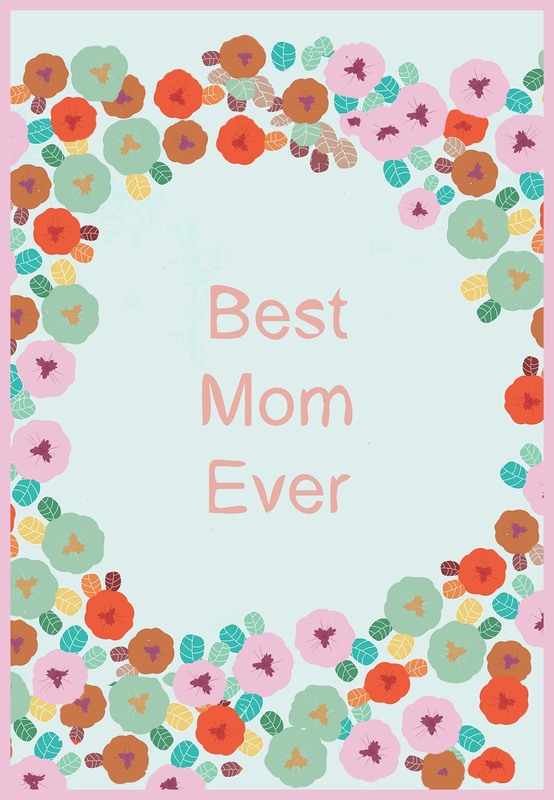 12th Mother's Day Card: Best Mom Ever! Again a card size 9 x 13 cm printed with 300 dpi. Best Mom Ever and a frame of flowers. 9 x 13 cm printed with 300 dpi, this is a very beautiful card with the two yellow/orange roses on a soft background. 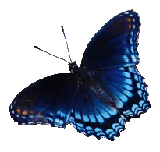 This card is made of clip art with colorful butterflies and flowers on a soft pink background. The text says: "Happy Mother's Day" and the size is 9 x 13 cm printed in 300 dpi. 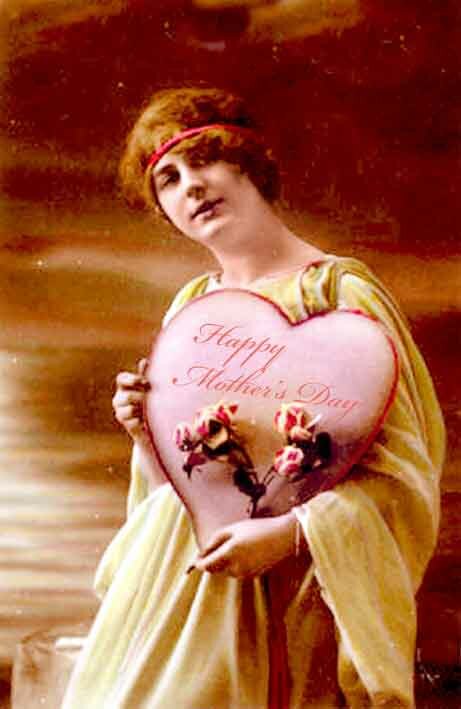 As I mentioned in the start of this page there would be one more Victorian card for Mother's Day. Actually it became 2, just a little different, and here they are. of all the wonderful pages with free printable cards. 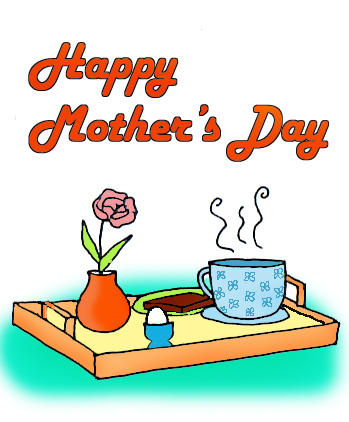 Mother's Day Clipart: Free, funny and easy to use clip art for Mother's day greetings.